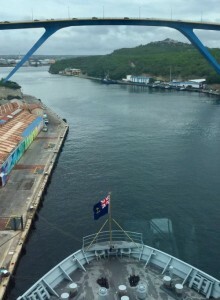 WILLEMSTAD - The support ship that is now moored in the harbor at Otrobanda is not the famous Karel Doorman, but the RFA Mounts Bay of the English Royal Navy. The 176-meter-long ship is here for maintenance. The British ship will remain on the island until February 3.